Los Angeles architectural historian Robert Winter, whose writings shone a light on the region’s architectural treasures and helped define the city’s built environment, has died. 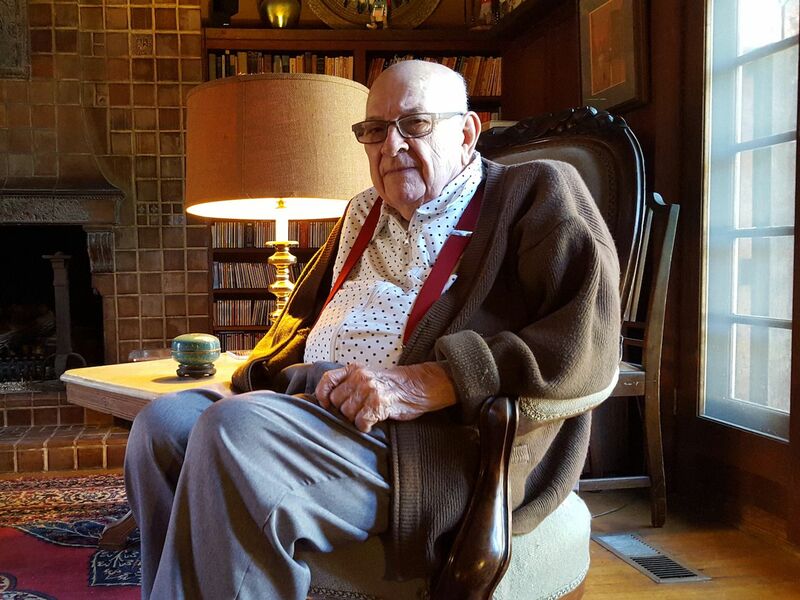 Anna Magnuson, Winter’s grandniece, confirmed that the longtime Occidental College professor died Saturday at age 94. Winter’s seminal work, An Architectural Guidebook to Los Angeles, written in collaboration with David Gebhard, has graced the bookshelves of Southern California architecture enthusiasts since its first edition debuted in 1965. Winter was especially well known as an expert on Arts and Crafts architecture—partly because of his many writings on the subject, and partly because his own home, built by architect and tile manufacturer Ernest Batchelder, was such an exquisite example of the style. Born in Indianapolis, Indiana in 1924, Winter attended Dartmouth University and Johns Hopkins before accepting positions at UCLA and then Occidental College, where he taught for more than three decades. But Winter would eventually become one of the region’s greatest advocates, fostering appreciation for LA’s diverse, often innovative, architecture and complex urban landscape. Magnuson says Winter brought this sense of humor to the classroom, where he performed comedy acts—including a gorilla impersonation—to engage students and stoke their passion for architecture. Robert Inman, who collaborated with Winter on the most recent edition of the Architectural Guidebook, recalls that Winter would sometimes invite groups of people on walking tours into his Pasadena home, giving impromptu lectures on the California bungalow style.